This most respected and beloved of independent garden guide is now in its 20th year. Listing 1260 gardens, parks and green spaces of merit in Britain, it describes each, highlighting the characteristics and qualities that make it unique and worth visiting. Gardens of exceptional quality are identified and 100 are handpicked as ranking among the finest in Britain and Ireland, even the world, for design and planting. These are gardens not to be missed. The detailed information on opening times, facilities, wheelchair suitability, dog access, plants for sale and more that come with each entry tell you all that you need to know. 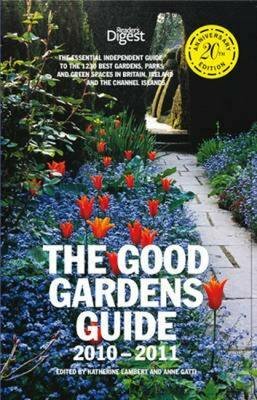 Showing the wonderful diversity of the nation's gardens, ranging from castles grounds to well-known arboretums and hidden back gardens, this is an essential and reliable reference book for garden visitors and enthusiasts alike.